Now in its 12th year, the Rock the Barn music festival has raised over $400,000 to benefit Meals on Wheels activities in Clarence, Akron and Newstead. 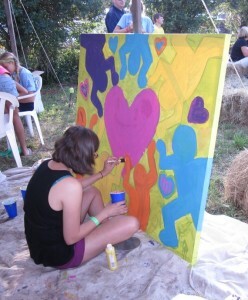 The event was originally conceived in 2005 by Doug Sitler as a “Barn Dance” during an off-road tour of a 90-acre farm tract on Main Street in Clarence that Doug’s friends Paul and Jim Stephen had recently purchased. Noel Dill and Tim Kulbacki rounded out the team that set up and promoted that first event, which was held as a private fundraiser. With a small group of volunteers and a single band, that first “Barn Dance” drew about 250 people and raised $4,000 for Meals on Wheels. Subsequent years saw incredible growth in the event, with the Clarence and surrounding communities embracing the fundraiser. In 2010, 2,500 people showed up to see the alternative rock band 10,000 Maniacs headline the event. By 2011, the event had grown to two days, and the introduction of Blues on Saturday has proven to be quite succsessful. 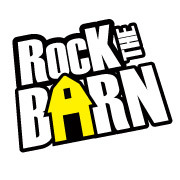 The Rock the Barn committee now works year-round to produce the event, which has grown from that modest beginning into a regional success. 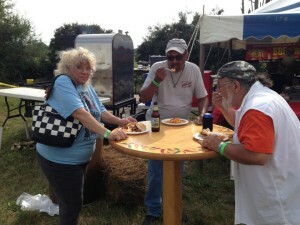 Proceeds of the two-day music event benefit the Clarence Newstead Meals on Wheels Task Force and help fund Meals on Wheels service in Clarence, Akron and Newstead. In addition to the funding it provides, Rock the Barn has dramatically raised the profile of Meals on Wheels and the food and friendship the program delivers – not only in Clarence but throughout Western New York. Stephen and the Task Force aren’t content to leave it at that, either. They have been growing the Task Force’s endowment, originally established over twenty years ago with the mission of creating a permanent funding source able to contribute to the cost of Meals on Wheels services in Clarence and Newstead. It’s an ambitious goal, and one that ensures that Rock the Barn will continue to be a highlight of the area’s summer calendar for many years to come. Find out more about Meals on Wheels and their remarkable efforts in our community by visiting their website.